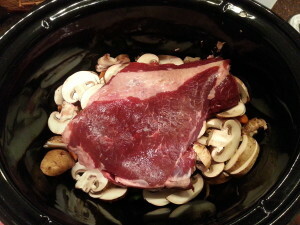 Sometimes weekday meal planning can be difficult but with a slow cooker recipe and a cut of beef round roast you can put together dinner fairly easy. 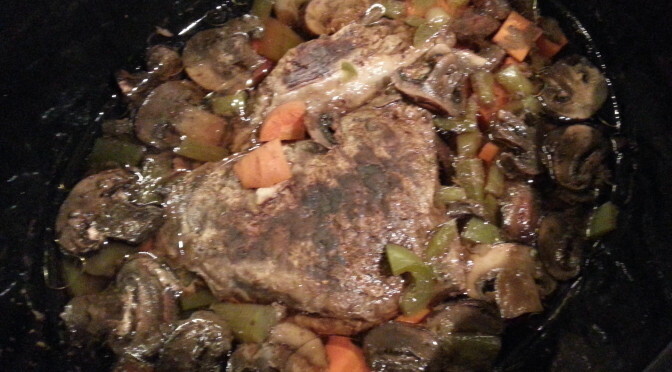 This easy to follow recipe requires little work and can be prepared in less than 15 minutes, however, depending on the size of the roast it may require up to 8 hours of cooking time in the pot. So, a little tip… if you do not have all of these ingredients try experimenting with some that you do have, just use your imagination, if it doesn’t work then next time you will know not to add particular ingredients. Easy beef round roast recipe slow cooker style: With pictures provided below! 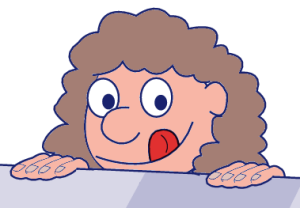 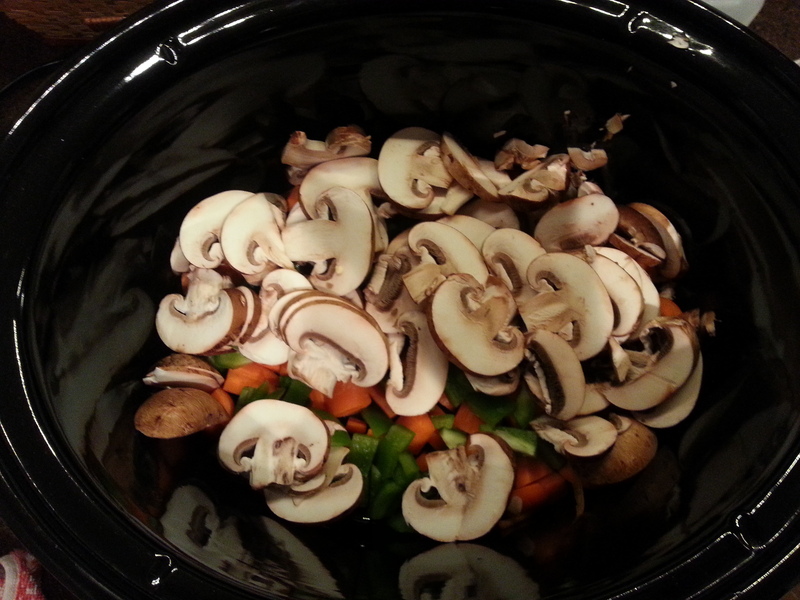 After a thorough rinse, chop all of the vegetables. 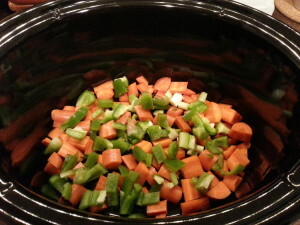 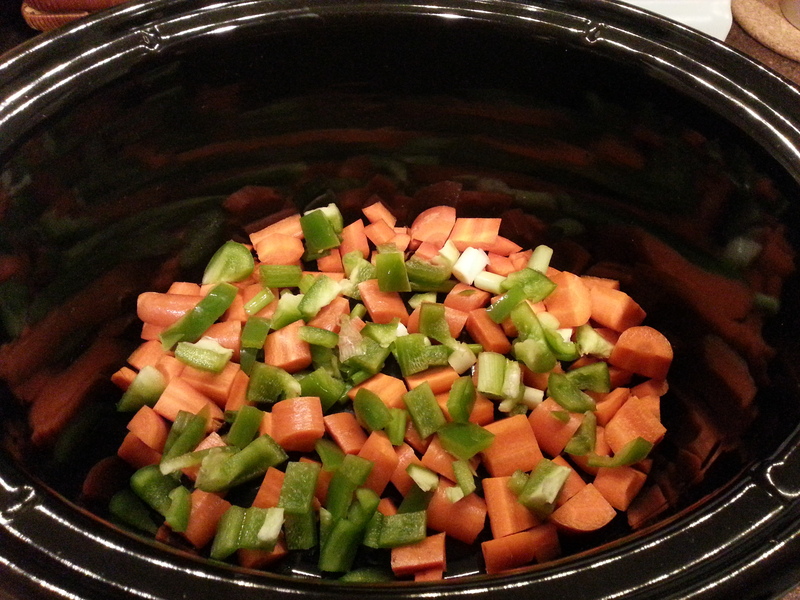 Add the veggies to the empty slow cooker. 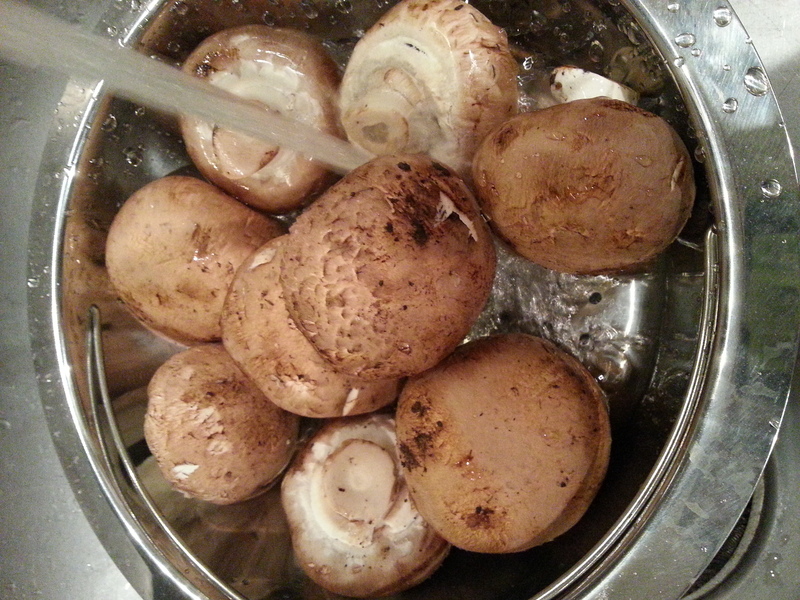 Wash the mushrooms, slice them with a chefs knife. Add the sliced mushroom to the pot with the other ingredients. 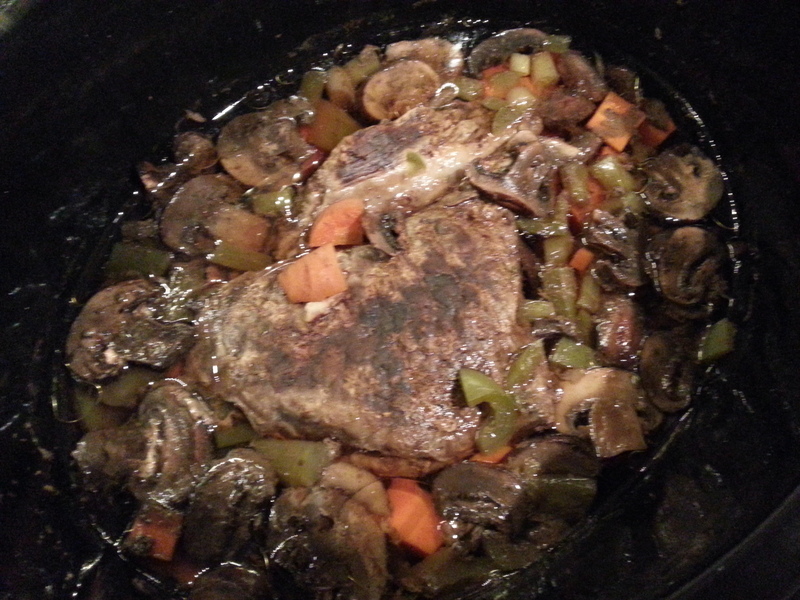 Place your cut of round roast on top of the other ingredients in the pan. 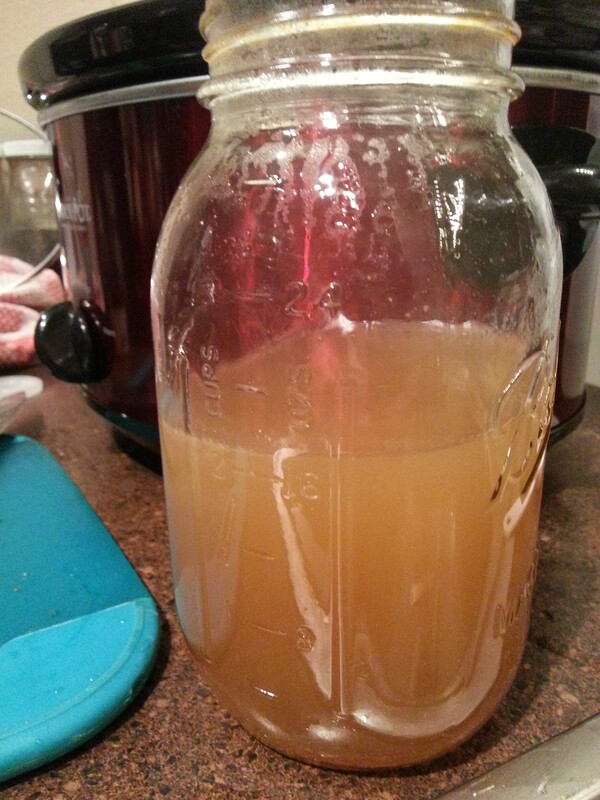 Add 3-4 cups of beef broth (depending on how big your roast is) adding a little water helps if you need. Depending on big you round roast is cook on high or medium anywhere from 4-8 hours until tender and cooked thoroughly. 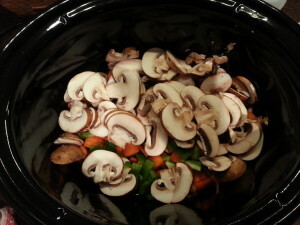 Once the meat is cooked you can remove and serve with the vegetables. 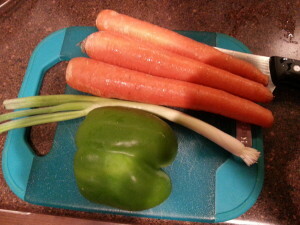 Use the juices to make a nice gravy to serve your dinner with!